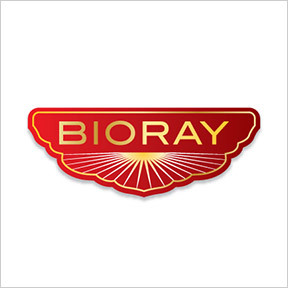 For over 25 years, BIORAY® has formulated unique remedies for specialized conditions related to environmental illnesses. These formulas are designed to work synergistically to strengthen and revitalize the body. BIORAY® employs the balance of nature and science to create their safe and effective liquid herbal supplements that support health and vitality as well as the environment. As part of their commitment to the quality and integrity of their small batch formulas, only the highest quality clinically tested organic ingredients are utilized. All ingredients and each batch of finished products are thoroughly third party tested for identity and validation of the absence of a comprehensive list of heavy metals. NDF®: This gentle and natural heavy metal and chemical detoxifying tonic bonds with toxic metals, chemicals and pesticides, and safely increases the excretion of PCB’s, dioxins, mercury, lead, aluminum and more. NDF® is formulated to improve memory and immune function, eliminate brain fog, inhibit excessive histamine response, and increase vitality, energy and focus. Organic formulation. Five-year shelf life. No refrigeration necessary. Artemisia & Clove™: This carefully buffered broad spectrum herbal tonic safely removes undesirable organisms, promotes healthy digestion, improves restful sleep and supports good mood. Safe for long-term use and sensitive digestive tracts. Three-year shelf life, organic kosher formulation. No refrigeration necessary. CytoFlora®: This professional-strength probiotic immunity tonic provides 12 unique strains of beneficial microflora for improved bowel, gut, and immune function. CytoFlora® helps to balance intestinal dysbiosis and creates an environment where healthy intestinal flora can colonize and flourish, while delivering immune strengthening impact. Three-year shelf life, hypoallergenic formula. No refrigeration necessary. Liver Life®: This revitalizing liver tonic naturally deep cleans, revitalizes and strengthens the liver, improves the body’s ability to filter toxins, drains acidic waste, and decreases ammonia. Traditionally utilized to assist the body in detoxing, Liver Life® improves nutrient absorption and food tolerance, and provides support for proper metabolism and increased energy levels. Organic kosher formulation. Five-year shelf life. No refrigeration necessary. This entry was posted in Home and tagged Artemisia & Clove, BIORAY, CytoFlora, Liver Life, NDF, Professional Supplement Center, Vitamins and supplements, www.professionalsupplementcenter.com. Bookmark the permalink.